At this year’s commencement ceremonies, the Elmhurst College Board of Trustees will confer honorary doctoral degrees on two accomplished leaders with strong ties to the College. Thomas A. Kloet, a global business leader and trustee emeritus of Elmhurst College, will be honored at the undergraduate ceremony on Saturday, May 26, and will deliver the commencement address. Sharon Daloz Parks, who speaks nationally on leadership, ethics and spirituality, will receive her degree at the graduate ceremony on Thursday, May 24, and will speak to the master’s degree recipients. 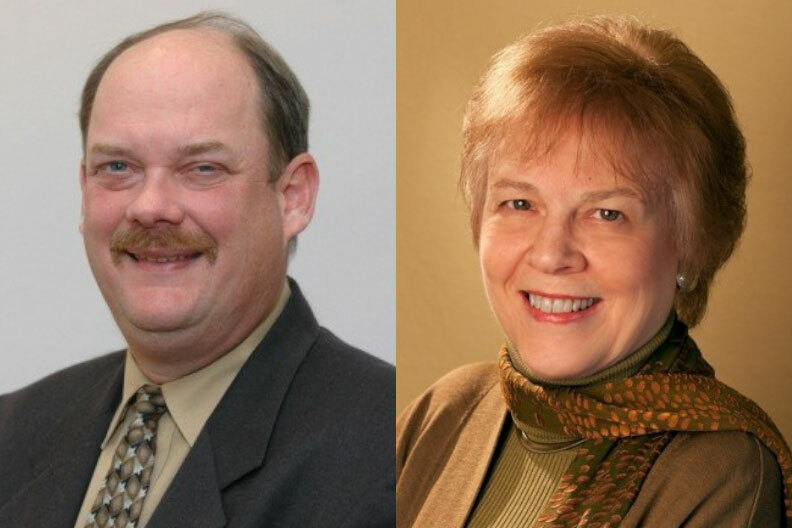 “Elmhurst College is privileged to be able to celebrate the accomplishments and contributions of these two outstanding individuals, and we look forward to hearing from them during our graduation ceremonies,” said President Troy D. VanAken. Kloet was CEO of Toronto’s TMX Group, parent of the Toronto Stock Exchange and other Canadian financial markets, from 2008 until his retirement in 2014. Before joining TMX Group, he served as senior executive vice president and chief operating officer of the Americas for Fimat Group, a unit of the International Bank Societe Generale. Kloet also was the chief executive officer of Singapore Exchange, where he led the merger of that country’s stock and derivatives exchanges and its initial public offering. In 2015, Kloet was elected to Nasdaq’s Board of Directors as a non-executive director. He continues to serve the Elmhurst College Board of Trustees as a trustee emeritus, following his 12-year role as a trustee. During his tenure, he chaired the presidential search committee, human resources committee, and investment committee. Kloet will receive an honorary Doctor of Humane Letters. Parks is principal of Leadership for the New Commons and senior fellow at the Whidbey Institute in Clinton, Wash. She has strong ties to Elmhurst College—especially to the legacy of theologians Reinhold and H. Richard Niebuhr, two of the College’s most esteemed alumni. At the Harvard University Divinity School, Parks studied under Richard R. Niebuhr, son of H. Richard Niebuhr (Class of 1912), the sixth president of the College. Parks has written about young adults and their spiritual development, as well as broader topics on ethics and leadership. In 2011 she published a 10th anniversary edition of her book, “Big Questions, Worthy Dreams: Mentoring Emerging Adults in Their Search for Meaning, Purpose, and Faith.” Parks will receive an honorary Doctor of Divinity.